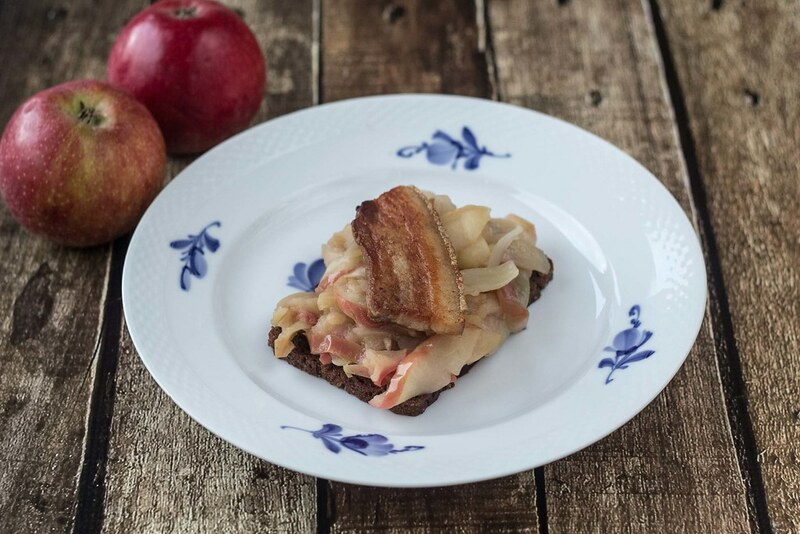 This dish, Danish apple pork, it a real traditional Danish Christmas dish typically served for a Christmas dinner. In Danish we call this dish Aebleflaesk which translated means Apple pork, and that’s what is. 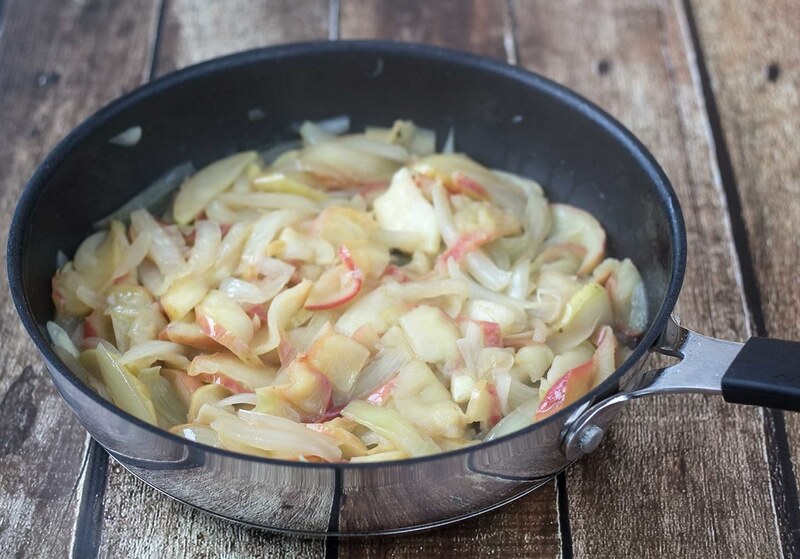 Aebleflaesk is a very simple dish which is based on three ingredients, apples, onions and streaky pork. As said, Aebleflaesk is a very traditional Danish dish but it’s also a very regional dish which is prepared in different ways depending on which parts of Denmark you are from. This recipe is the one my family have always used and it’s also the one I always use. 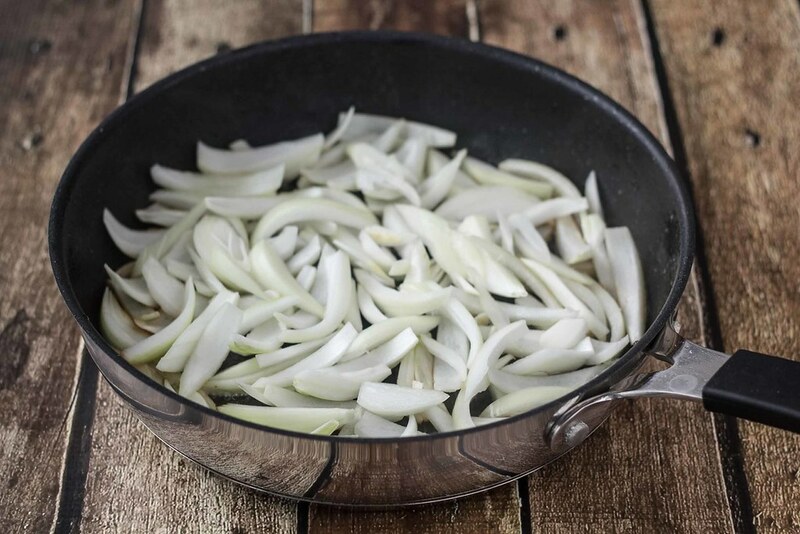 The major difference in the ways of making Aebleflaesk is whether there should be added onions or not – I absolutely believe that onions are a must in this dish. If you don’t like the onions you simply just leave them out. 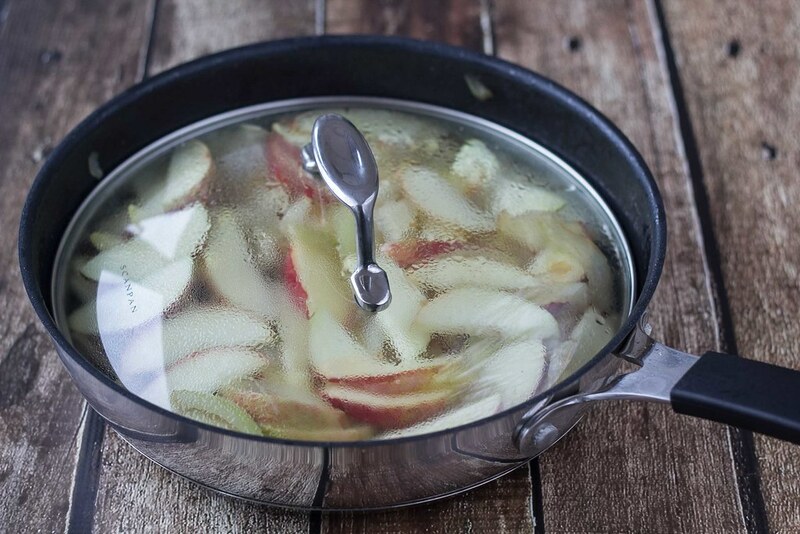 Some people also prefer that the apples are peeled and cooked for a long time so that they are like a porridge. 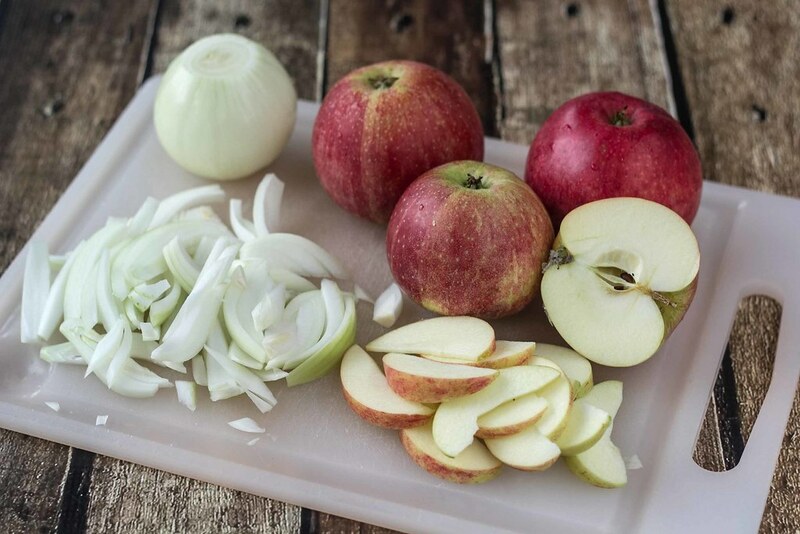 I prefer that the skin are still on the apples and that they are cook so they still have a crisp texture. I always serve this dish together with some rye bread or this healthy Paleo bread. 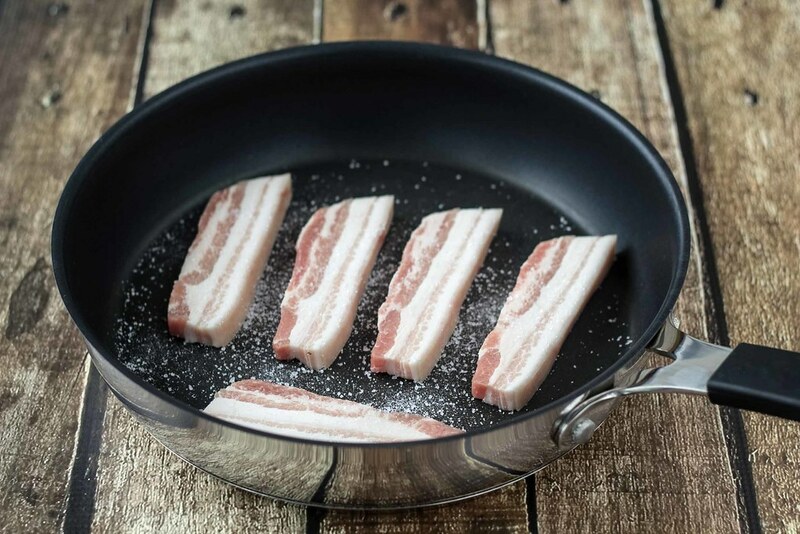 Step 1: Put the streaky pork on a frying pan and sprinkle with salt. Fry the pork for about 10 minutes or until it has a nice and brown color. Step 2: While the pork are frying on the pan; peel the onions and slice them. Step 3: Rinse the apples, remove the core and slice them. Step 4: When the pork are done, put the meat on a plate with a piece of paper towel. Leave the grease on the pan. 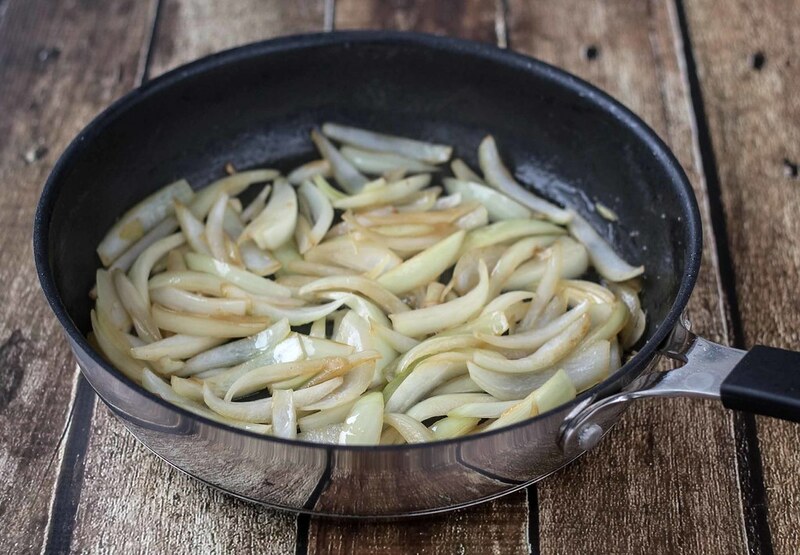 Step 5: Put the onions on the pan and fry them for a couple of minutes before you add the apples. 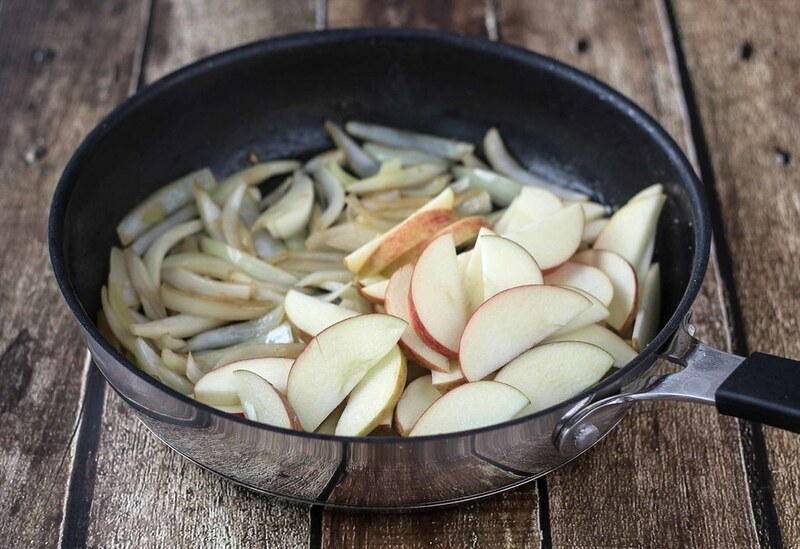 Place a lid over the pan (you can also use a sauce pan), so the apples and onions get steamed. 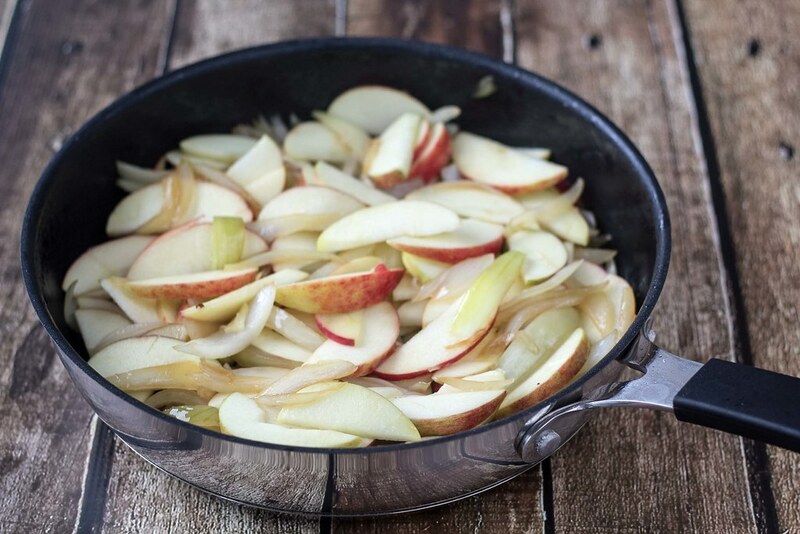 Step 6: Stir in the onions and apples once in a while and fry them until they have the consistency you like – about 15 minutes. Step 7: Flavor the apples with the sugar and some salt. 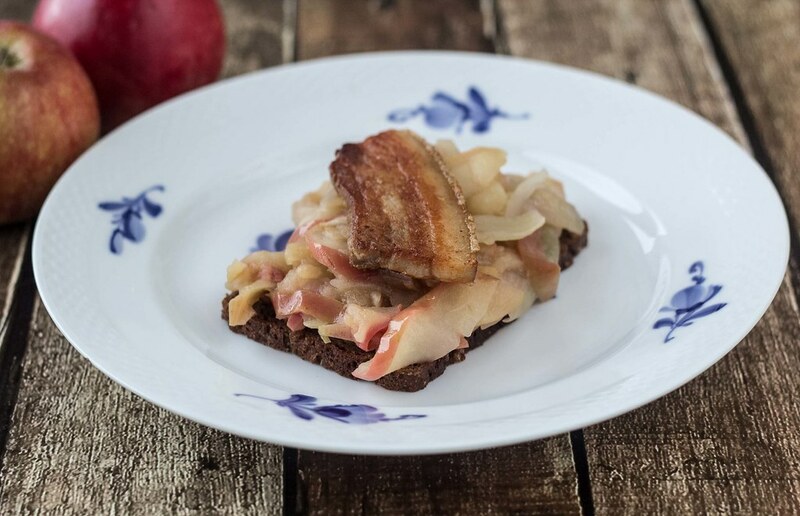 Tip: Serve the Aebleflaesk on some rye bread or healthy Paleo bread. I’m so glad I stumbled across your blog. I am a Dane with no roots left and reading your recipes (and I’ve made a few of them too) just feels so, ja, hyggelig. Tusind tak! 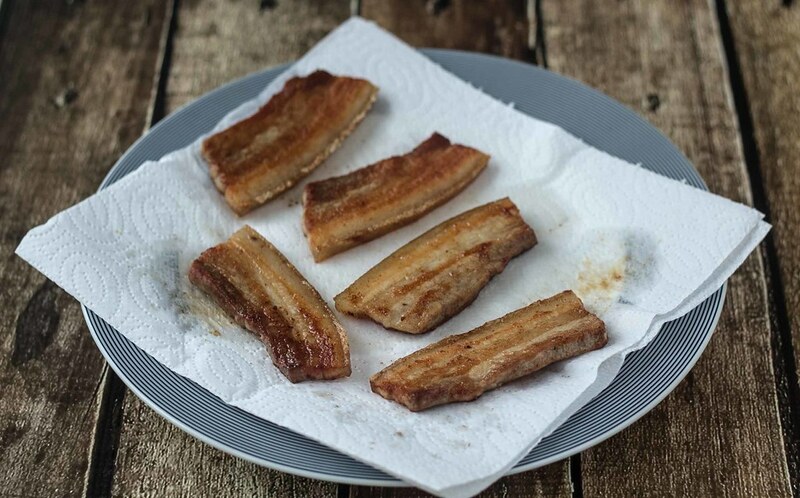 Small question – is the pork cured or salted? Or is it fresh? Some recipes seem to use store-bought bacon and some seem to use fresh side pork. This is fresh and then I just add salt to it. I fry the bacon till crisp, drain most of the fat, Add small amount of butter and the sliced onions and apples, and stir-fry together on a medium low flame until done to taste. Its wonderful!! So tasty!!! I used honey instead of sugar…..perfect! !